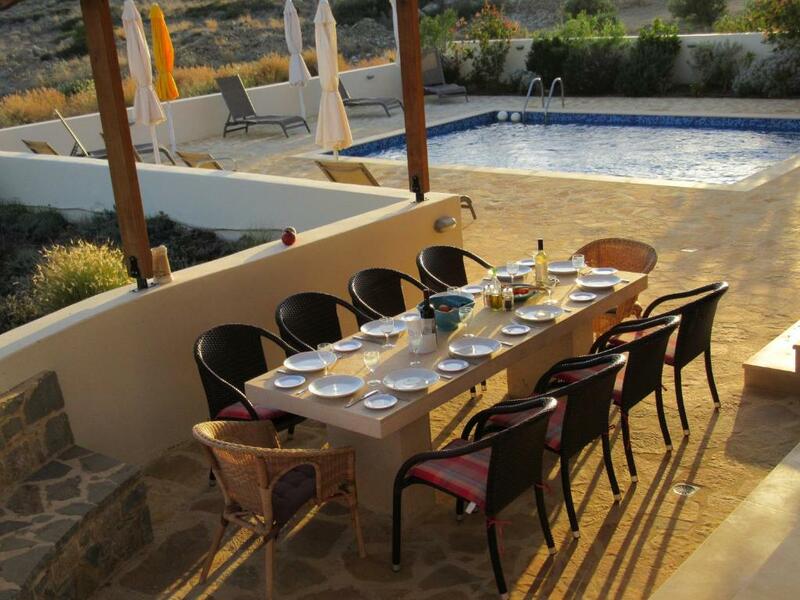 One of our top picks in Makry Gialos.Located in Makry Gialos in the Crete region, Villa Estia has a terrace and sea views. Guests staying at this villa can use the free WiFi. This villa features a balcony, a living room and a flat-screen TV with DVD player. The villa also has a bathroom with a shower. The villa has an outdoor pool. Both a bicycle rental service and a car rental service are available at this property, while snorkeling and cycling can be enjoyed nearby. 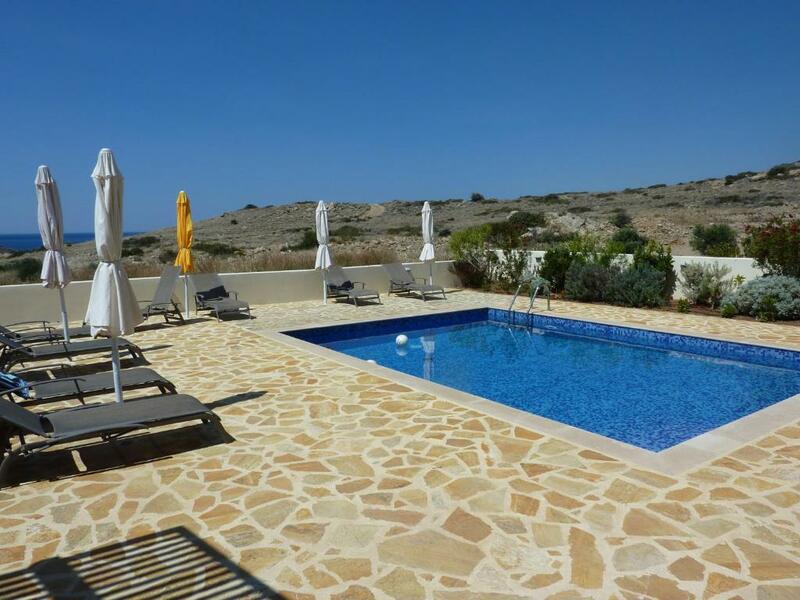 Ierapetra is 18 miles from Villa Estia, while Sitia is 20 miles away. The nearest airport is Nikos Kazantzakis Airport, 73 miles from the property. When would you like to stay at Villa Estia? 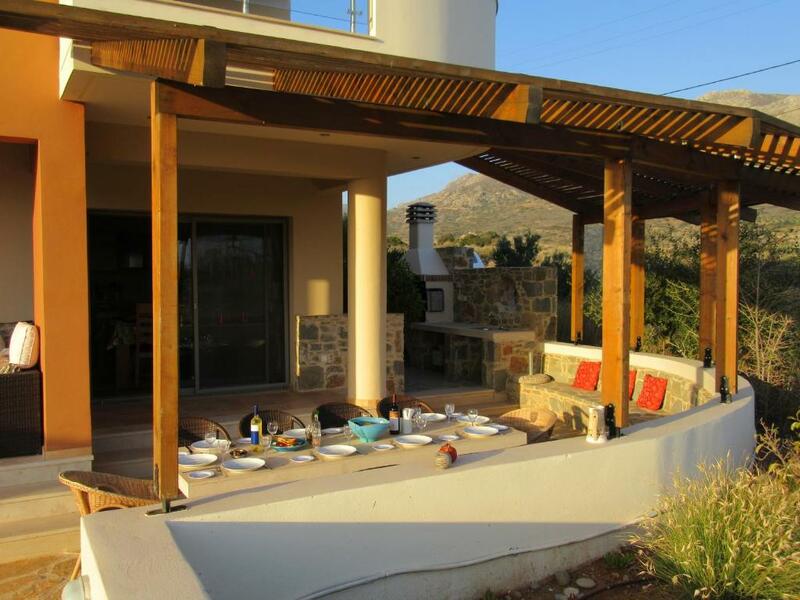 Villa Estia is one of 4 villas built on the ridge of Lagada close to Makriyialos. All of the villas are on private plots of 4000sqm each and all have views of the sea and mountains. 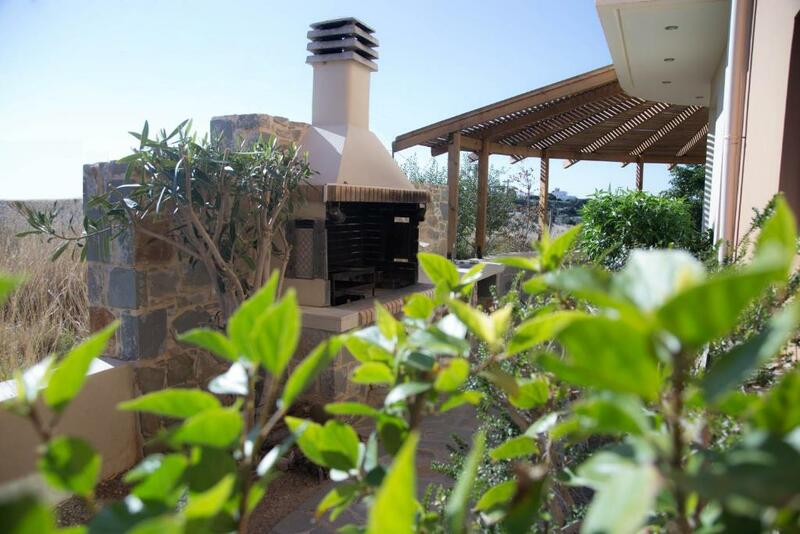 Villa Estia is very private,is not overlooked and is surrounded by cultivated olive trees. There is total peace and tranquillity. 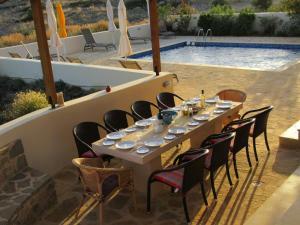 The property suits couples and families but also is ideal for two families joining together for a great holiday. My name is Martin and my wife is Sue. We have been married for over 40 years and love Crete and its people. We have owned Villa Estia from construction. We like walking and driving in the mountains of Crete and visiting the lovely peaceful tavernas found in the local hill villages. The food and hospitality found there is second to none. We also like to swim and the sea and beach just down from the villa is a great place to have an early morning dip before returning for fresh bread or croissants. Villa Estia is just peace on earth away from any traffic noises, or any interference, other than the occasional vehicle going to the two villas further up the ridge. That said the nearest beach is about 1km away but it is not in any way commercial. The beach in Makriyialos is a blue flag beach, about 5 minutes in the car and is ideal for children. Further east along the coast can be found some really quiet and secluded beaches - choose one and claim it for yourself for the day!! House Rules Villa Estia takes special requests – add in the next step! Villa Estia accepts these cards and reserves the right to temporarily hold an amount prior to arrival. Please note that PayPal payments are also possible. A damage deposit of EUR 600 is required upon arrival – that's about 674.61USD. This deposit is fully refundable at check-out as long as there's been no damage to the property. We need at least 5 reviews before we can calculate a review score. If you book and review your stay, you can help Villa Estia meet this goal.